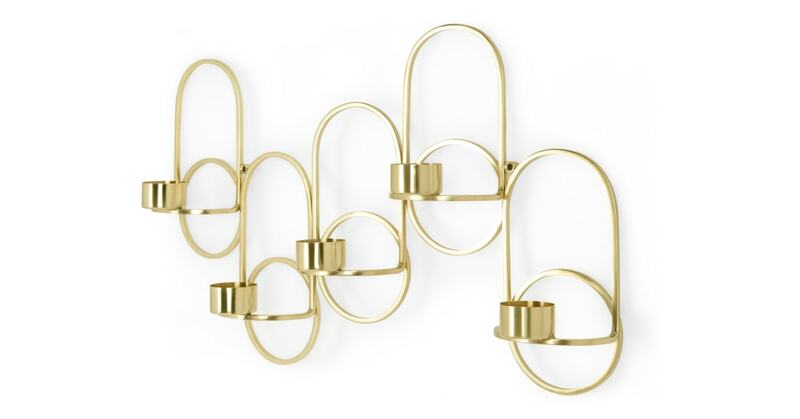 With its sculptural design elements and dual function – art or accessory – Kaia's a wall-mounted candle holder with max appeal. There's space for 5 candles on Kaia – at varying heights, they'll catch the eye while shedding light. Brass is a statement finish, and isn't going out of style any time soon. It's perfect for complementing industrial pieces, or adding another dimension in more pared-back spaces.